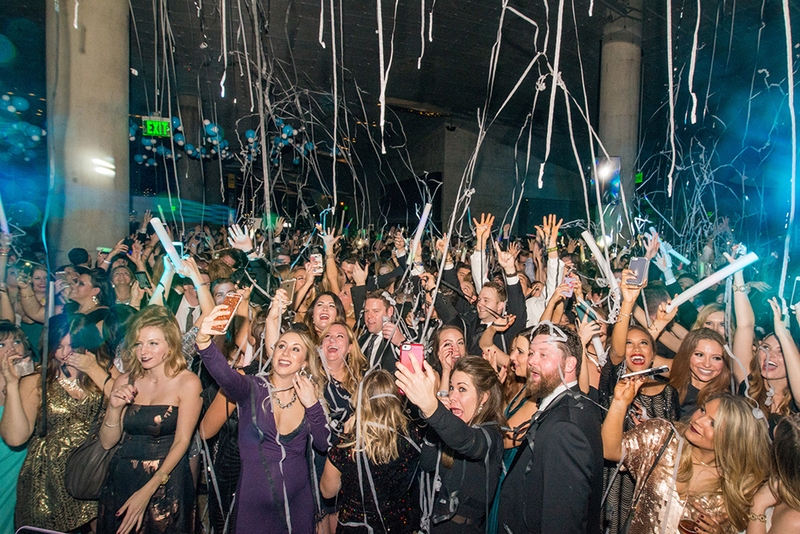 I don't have to post this, but Beats & Bubbly wouldn't have been possible without the sponsors and vendors who helped make NYE a night to remember! Thank you for supporting the brands that supported us! 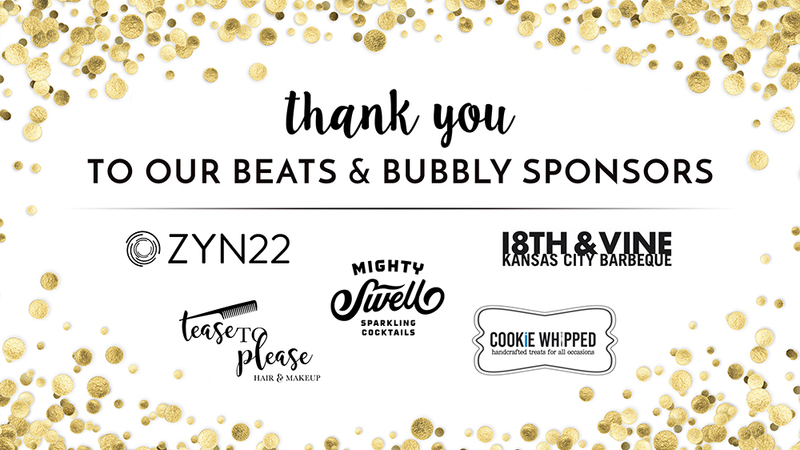 Our sponsors for this year's Beats & Bubbly NYE party helped make it a very special event and I am so grateful for them! Thank you for supporting the companies who helped make Beats & Bubbly the best ever. I've had so many questions about who I used for certain event elements, so I thought I would share them all (and some behind the scenes photos) - all of the sponsors and vendors were so fantastic to work with and I can't thank them enough! Mighty Swell: Our signature cocktail was made using Mighty Swell Grapefruit, and you can get the recipe plus tons of others on their site! 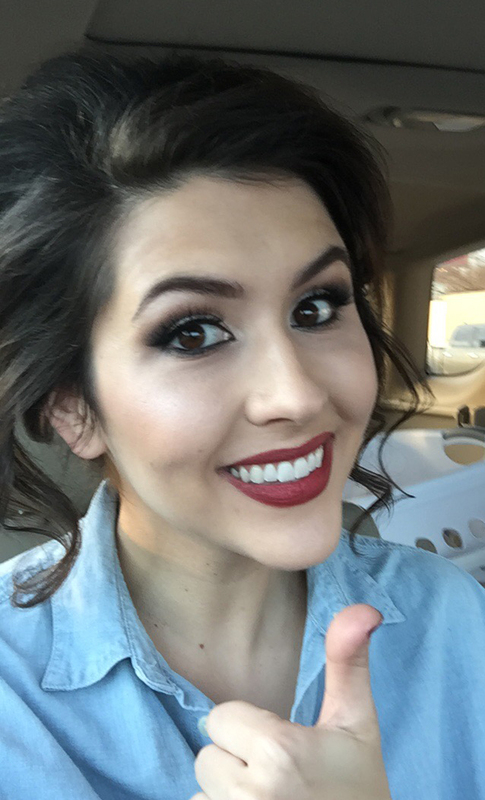 Tease to Please: Thank you to Laci Coker and her team of beauty experts for making me feel perfectly glam for NYE! Laci did my hair and Paige did my makeup! 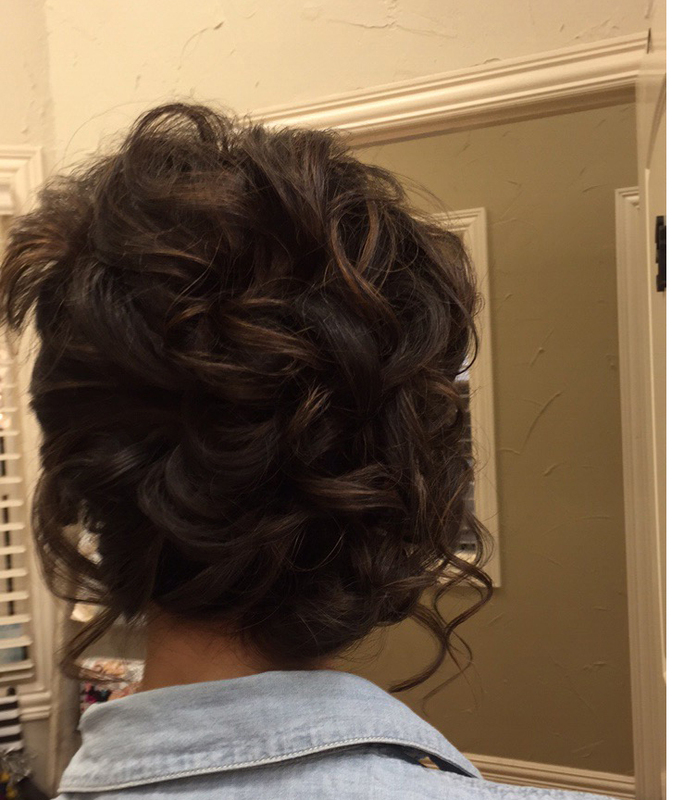 You can book Tease to Please for your next event! Zyn22: My favorite spin studio in Dallas is Zyn22 and it's also the place you can find DJ Bradford teaching his own spin class with the best beats a few times a week. Thanks for being a part of this special night, Zyn! 18th & Vine BBQ: If you like BBQ (everyone, right?! ), then you have to hit 18th & Vine in Dallas. It's Kansas City-style BBQ done right and they don't disappoint. I'm a huge BBQ fan and it was such a treat to have the signature sliders from 18th & Vine on NYE! Cookie Whipped: How adorable are these cookies?! I wish I had more pictures of them, but they all got eaten! 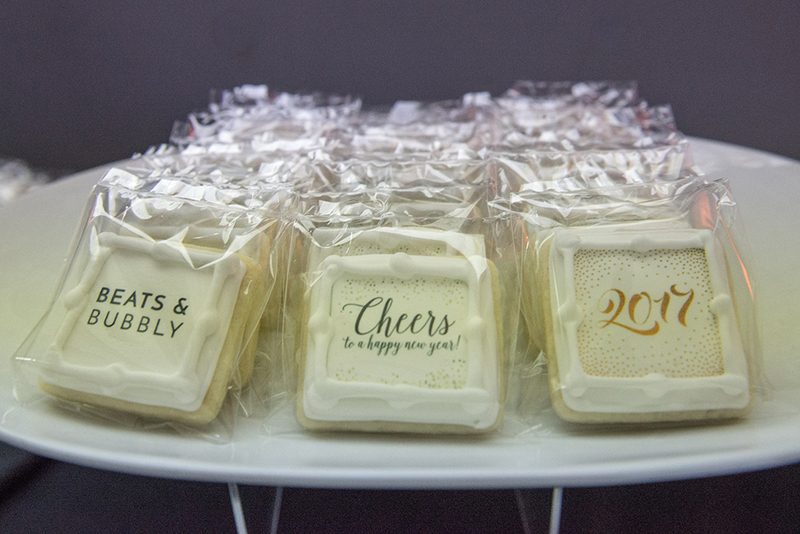 Thank you, Amanda, at Cookie Whipped, for the cutest NYE cookies that were delicious too! DJ Bradford: He's been my DJ for 6 years...now he can be yours too! Book him for your upcoming event and get ready to dance. Brandon Mikeal Photography: My friend Brandon can usually be found backstage at music venues around Dallas, documenting some of the best shows in town. 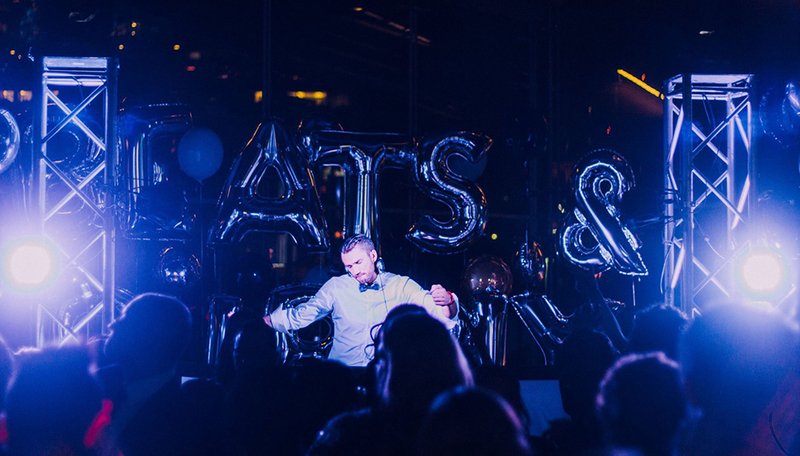 He captured Beats & Bubbly perfectly and you can view his entire NYE gallery. Forevermore Photography: Megan at Forevermore did an amazing job capturing the step & repeat at the entrance of the event and I have received so many compliments about the photos! You can even purchase a print of your photo from her NYE gallery. I loved hopping in this photo with my good friends, Chris and Becca Burt! LCI Media Photobooth: We put a GIF booth inside the universe exhibit on Level 4 of the Perot Museum and the results were magical! LCI Media uses the newest photobooth technology and I love that she helps non-profit organizations, too! View the gallery. Step Up Smile Photobooth: By far, the most impressive display of photobooth props I have every seen, I loved working with Daniel at Step Up Smile Booth! At our Level One balloon backdrop, we did printed and digital photostrips that guests loved. You can view his NYE gallery. B and L Sound: Provided all of our sound and lighting on stage; we had enough power for an event 5 times our size- it was amazing! Brian and his team were experts and found a solution to whatever problem I threw at them! Shag Carpet Prop Rentals: Shag produced our step & repeat and it was such a hit! Barbara at Shag was wonderful to work with and was so patient with me as I decided which visual direction to go in. Balloon City USA: Evelio at Balloon City worked magic with the balloon installations that I wanted at Beats & Bubbly. He considers his balloon work to be "art" and it is! I loved being able to create something fun and different for this event with balloons! Special thanks to Kristin Sheehy for creating all digital media for Beats & Bubbly! Special thanks to Rachel Spivey for creating the Beats & Bubbly welcome chalkboard! Extra special thanks to We the Birds Creative for designing the entire Beats & Bubbly website and event branding.